I am an enthusiast, when it comes to finding new gardens in southern California. After spending long hours on google search on San-Diego garden I found this hidden jewel not so far from the place I live. Rancho Santa Ana botanic garden, is a living museum with curated collection of California native plants. I was personally impressed by the collection of palms and cacti. Even if it’s winters , this garden gives ample reasons to visit. 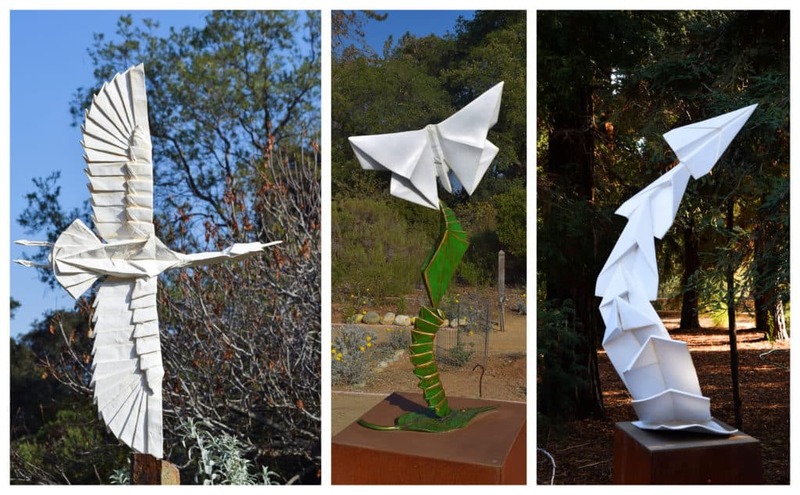 The attraction is the outdoor sculptures that celebrate art and nature through lens of origami. Yes, you heard me right! Origami !!. Amuse yourself with some sculptures I collected. I propose you to go in the evening and enjoy the garden when it glow with lights and these sculptures become more lively. Hope you enjoy your family time by appreciating these creative minds in the garden. Following links will help you to explore more about the garden.